My name is A.V.A. and I am a high school student at Averill Park High School in Averill Park, NY. 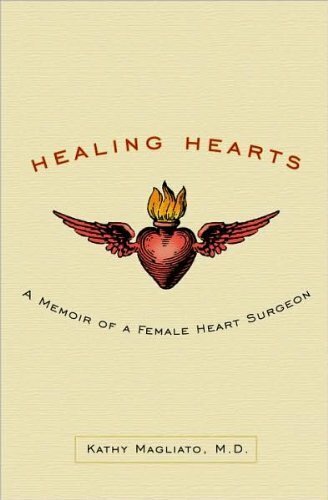 I recently read your book “Heart Matters” because I want to be a cardiothoracic surgeon when I grow up and was looking for some inspiration. I decided I wanted to be a surgeon when I was about 12 when I first stepped into an OR for a PIP joint surgery. Since then I have bought countless of study books for physiology and cardiology. I even got a tour of the anatomy lab in Albany Med School where I got to hold a heart for the first time. Next summer I have plans to go work as a volunteer at a hospital down in NYC and be an assistant to one of the attending surgeons. I know there is nothing else I want to do more than continue with my education and become a surgeon. Right now I’m doing a project for my Health class about women in medical careers, and was wondering if you would mind giving me a few quotes about what it’s like to be one of the only females in your profession. I’ve always admired your story and how you rose from your humble beginnings to go and make a difference in the world. Especially since the college and medical college you went to are right in my backyard. If you could email me back at this email address that would be greatly appreciated.